For the past 24 hours, opposition MPs in the House of Commons have staged a series of consecutive confidence votes to pressure the Liberal government to let the former attorney general and justice minister answer more questions before a committee of MPs - but according to a former law clerk of the House, that pressure tactic was unnecessary. For the past 24 hours, opposition MPs in the House of Commons have staged a series of consecutive confidence votes in an effort to pressure the Liberal government to let former attorney general and justice minister Jody Wilson-Raybould answer more questions before a committee of MPs. According to a former law clerk of the House, however, that pressure tactic may not have been necessary: Wilson-Raybould and her former cabinet colleague Jane Philpott — who resigned from cabinet in protest over the government's handling of the SNC-Lavalin file — can say whatever they want in the Commons, without penalty. "If they are speaking in the House, or in a committee proceeding, they are absolutely protected by the law of parliamentary privilege and no legal proceedings of any kind can be brought against them based on what they say in the House or in House committee proceedings," Rob Walsh told host Vassy Kapelos today in an interview with CBC News Network's Power & Politics. "In my view they are totally at liberty to say whatever they want in the House or in appearing before a committee … Doesn't matter what it is. The right is absolute." Walsh was the law clerk and parliamentary counsel for the House of Commons from 1999 to 2012. In that role he was responsible for providing legal services to the Speaker, MPs and committees, and represented MPs in proceedings that involve parliamentary privileges and immunities. Walsh was offering his insights into the limitations (or lack of them) that affect Wilson-Raybould's ability to say more about her role in the SNC-Lavalin affair and her reasons for resigning from the federal cabinet. Once before the committee, Wilson-Raybould told MPs that she had been improperly pressured by 11 officials in the Prime Minister's Office to reverse a decision that denied SNC-Lavalin access such an agreement. Wilson-Raybould also told MPs that when she was shuffled out of her post in January, she felt it was because she had blocked the remediation deal — a charge PMO officials deny. When MPs asked the former justice minister why she resigned from cabinet, she said she could not answer that question — because speaking publicly about what happened after she was moved to the Veterans Affairs portfolio would not be covered by the waiver issued by Prime Minister Justin Trudeau. The waiver (which actually was issued by the Governor General in Council on a recommendation from the prime minister) said Wilson-Raybould was free to tell the committee any cabinet confidences related to her decision on SNC-Lavalin. That same waiver also said that she could discuss the decision to deny SNC-Lavalin a remediation agreement — even if, in doing so, she had to reveal legal advice provided to government or discussions she had with government officials that may have been covered by solicitor-client privilege. Once the waiver was made public, Wilson-Raybould, who has hired retired Supreme Court justice Thomas Cromwell to advise her, published a letter on her MP website saying she still could not speak freely. "The OIC addresses only my time as attorney general of Canada and therefore does nothing to release me from any restrictions that apply to communications while I served as minister of veterans affairs and in relation to my resignation from that post or my presentation to cabinet after I had resigned," she wrote. When Wilson-Raybould was asked by committee members if she would return to answer further questions, she said she would. When opposition MPs on the committee subsequently heard contradictory evidence from the former clerk of the Privy Council, Michael Wernick, and Trudeau's former principle secretary Gerry Butts, they put forward a motion asking for Wilson-Raybould to return and rebut. The Liberal majority on the committee voted that request down and, earlier this week, also voted to end the inquiry into whether Wilson-Raybould was improperly pressured, arguing that "Canadians now have the necessary information to arrive at a conclusion." The decision to shut down the committee inquiry prompted outrage from Conservatives and New Democrats. The Conservative Opposition staged a protest in the Commons this week, tangling the governing Liberals up in a marathon voting session and offering to end it only if Trudeau agrees to let Wilson-Raybould speak. But Walsh, an expert in parliamentary privilege, said that Wilson-Raybould could have said whatever she wanted before the committee, regardless of whether or not it violated cabinet confidences or solicitor-client privilege — and she can do so now as well. The only limitation still facing the former minister, Walsh said, is one of time. As a member of the Liberal caucus, he said, Wilson-Raybould would have to be put on a list given to the Speaker by the government side in order to be given time to speak in the Commons. Walsh said there are a number of ways Wilson-Raybould could work around that limitation, although he didn't offer specifics. Former Speaker Peter Milliken told CBC News that an MP can rise in the House of Commons to raise a point of order or a question of privilege, make the argument that their ability to speak freely or act as an MP has been hampered, and then make an extended argument. Milliken said the Speaker can cut that MP off if the MP wanders off-topic, but most often the MP is given latitude to make at least an initial 15-minute argument. 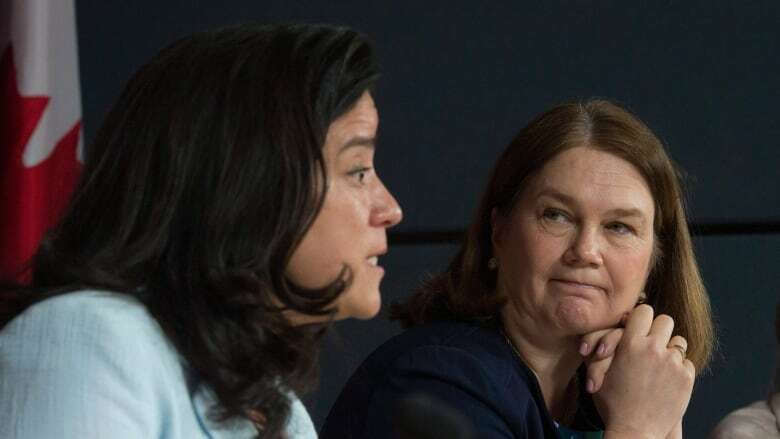 Jennifer Quaid, a law professor at the University of Ottawa, points out that while Wilson-Raybould would not be sanctioned in any way for what she says in the Commons, her words could have an impact on SNC-Lavalin's ongoing criminal trial. "In the same way that you might argue that other things that happen outside of the trial might affect the fairness of the trial, so too you might refer to things that happen in the House of Commons. I don't think the House of Commons offers any cover," she said. "The question that arises, of course, is on what basis (the defence is) arguing that the fairness of the trial has been affected. And that would have some relationship with your chances of success."